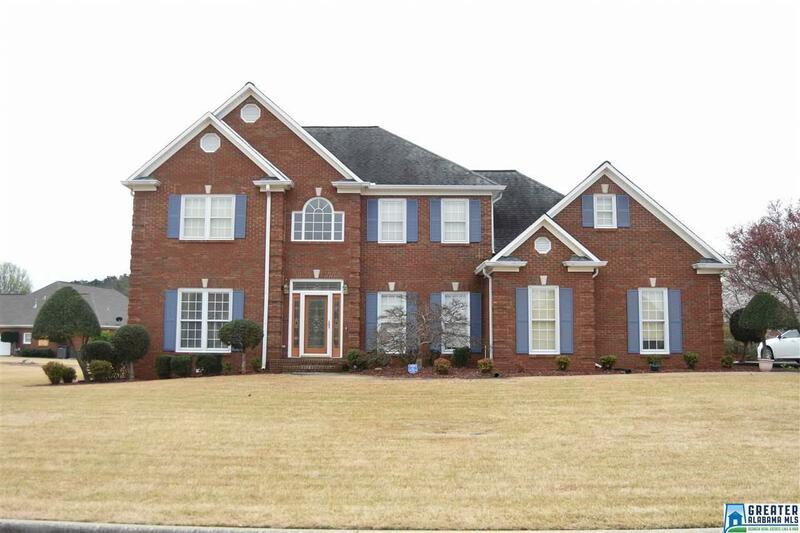 This elegant 5 Bedroom, 3.5 Bath home is yours for the taking! With this home being located in prestigious Meadow Lakes subdivision, you and your family will be able to enjoy beautiful small lakes, walking trails, and a exquisite mountain view. This home offers a large sitting area, dining room, expansive living room where you can soak in all the natural light from the floor to ceiling windows, see-through tile fireplace, spacious kitchen and eating area. The Upper level offers 4 large bedrooms and 2 full bathrooms, along with a walkway overlooking your living room. The main level offers gleaming hardwood floors, grand master suite with dual vanities, jetted tub, a large walk-in closet, and a huge attached sunroom where you can enjoy the view of your own private backyard get-a-way. Your new backyard offers privacy fencing, a beautiful, relaxing salt-water pool, and an additional lot in the back with endless possibilities! Driving Directions: From Hillyer Robinson Industrial Pkwy, Turn Right Onto Hamric Dr. E, Turn Left Onto Quintard Dr. Continue Onto Al Hwy 21 S, Turn Left Onto County Line Rd., Turn Left Onto Teal Dr., Turn Left Onto Marsh Ln., Turn Left Onto Canvasback Dr. Home Located On Right.